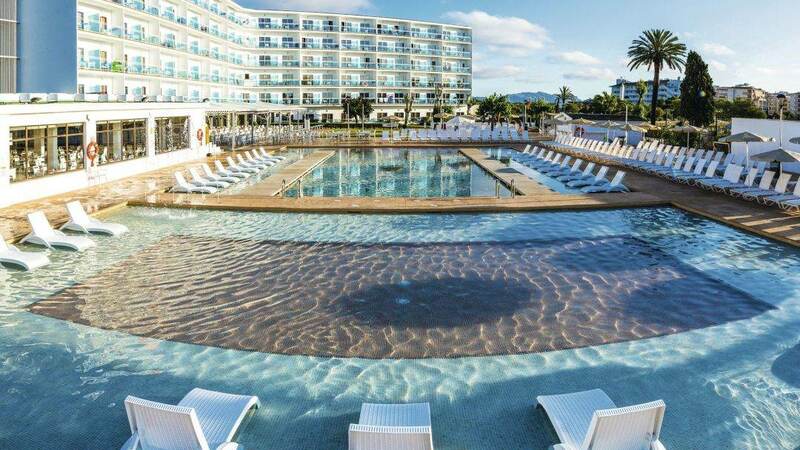 The BelleVue Lagomonte*** is located in the popular Alcudia resort and is the perfect all-inclusive Majorca hotel for families. 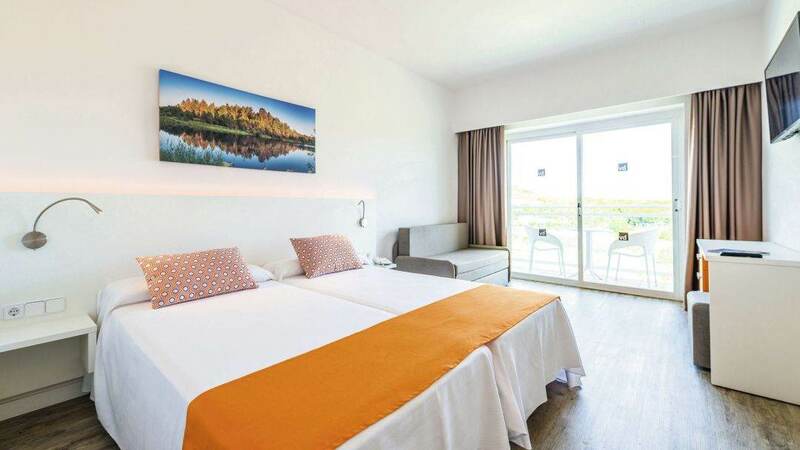 This Majorca hotel is situated in the beach town of Puerto de Alcudia and has its own private island with a swimming pool, lounge area and bar and is also located conveniently from some of the best Majorca beaches. If you’re looking for a great family holiday in Majorca, then the BelleVue Lagomonte*** is the place for you. A free shuttle bus to Alcudia beach runs every 30mins and opens up a world of water sports, golden sand and the warm waters of the Mediterranean. The Alcudia resort is also home to some of the best golf courses in Europe including the Alcanada 18 hole course. The BelleVue Lagomonte*** offers 272 modern and spacious double rooms, all featuring a telephone, cable TV and a safe. 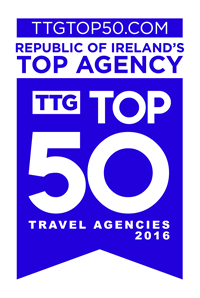 A cot is also available, if booked in advance. All of our family-friendly rooms also feature an en-suite bathroom with a bathtub and shower facilities, their own balcony and air conditioning. With pool, darts, archery and day and evening entertainment, you might never want to leave the hotel! If you do though, there’s plenty to explore around the hotel in Alcudia and across the island. Why not rent a bike and explore the beautiful natural surroundings of Majorca, away from the hotels and the crowds? Our friendly staff will be happy to help you organize excursions on the island. 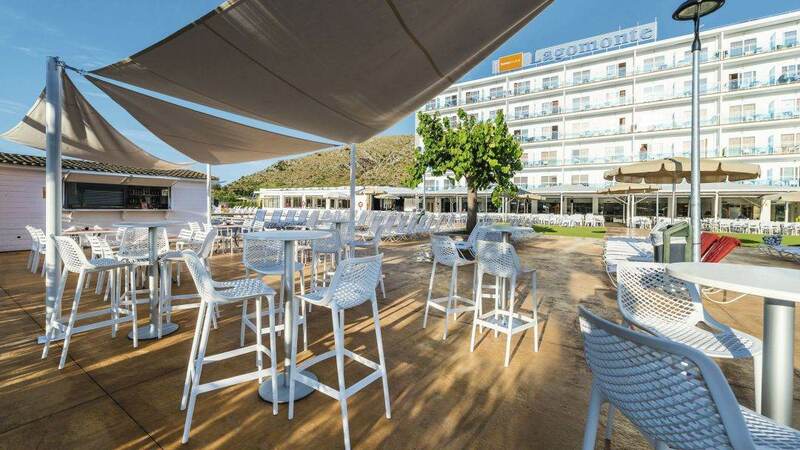 The BelleVue Lagomonte*** is one of the best all-inclusive Majorca hotels for families with breakfast, lunch and dinner provided throughout the day at our buffet restaurant serving a range of international cuisine. Snacks and drinks are also available from the poolside bar during the day. Plonked on the side of a lake, the Bellevue Lagomonte has an out-of-the-way feel, while still being within easy reach of Alcudia’s shops, restaurants and beach. Bellevue Lagomonte has bagged a scenic lakeside spot. This makes for a tucked-away feel, while being just 10 minutes’ walk from the beach, shops and restaurants. You can catch the free bus to the seafront, too. It’s not hard to see how this place got its name, which means ‘beautiful view’. The rooms look out over the picture-perfect lake – complete with its own private island – and the mountains.